Before heading out, pack at least 2 liters of water for each person in the vehicle. You should also pack a portable water filter that you could use to drink water from a creek. In addition, bring along plenty of high-energy non-perishable food, such as granola bars, chocolate and peanut butter and crackers. For each person in the vehicle, pack a wool blanket, an extra jacket, socks and shoes. You'll most likely have shirts and pants packed if you are staying overnight somewhere. If not, an extra change of clothes could be a lifesaver if what you are wearing gets wet from snow or other inclement weather – or if you try digging yourself out of a ditch. Additional survival items include a flashlight, extra batteries, flares, waterproof matches, a tarp to use for cover if you can't stay in your vehicle, tinder to start a fire and some dry kindling. Depending on where you are, you may be able to find fallen wood that is dry or may be able to break off some of the lower boughs on certain evergreens to start a fire for warmth. The lower boughs on trees are usually dry and will snap off with just a little pressure. These items, in addition to a good first aid kit, are imperative to survival. Be sure to stop by Melloy Dodge to have your RAM truck checked to minimize the chances of having to use your emergency supplies. 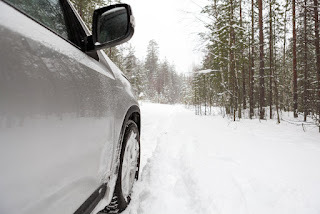 Melloy Dodge wants you to enjoy your favorite winter outdoor activities safely!